The Edmonton transit system is plagued by inconsistent, outdated and “nearly unusable” signs that make it difficult to navigate, according to a report headed to city councillors next week. 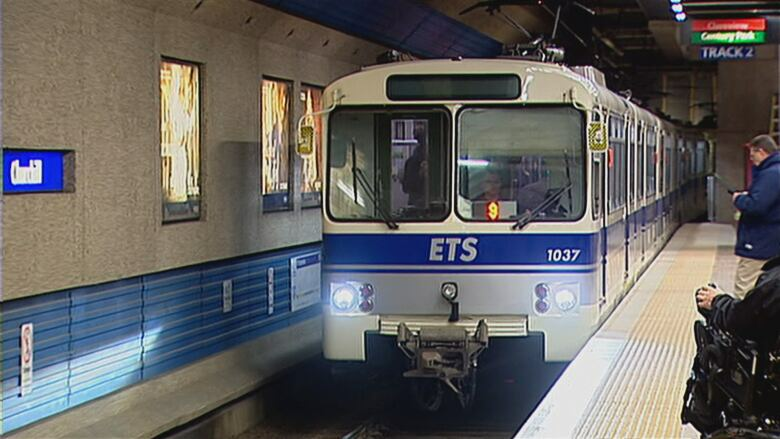 The Edmonton transit system is plagued by inconsistent, outdated and "nearly unusable" signs that make it difficult to navigate, according to a report headed to city councillors next week. The Edmonton Transit Service Advisory Board prepared an analysis of the wayfinding designs used throughout the transit system, from LRT landmarks to maps on buses. The report outlines 21 issues with the way residents are expected to navigate the city's transit network. How well do you know downtown Edmonton's pedway system? The advisory board report called the lack of schedules and route information at transit stations, such as where and when to find a connecting bus, an "unacceptable omission". The maps at transit stations often had little information, were easy to miss or difficult to read for people with limited vision, it noted. The centralized maps on some LRT station platforms, meanwhile, are "very nearly unusable," the report said. The maps don't offer the direction, schedules or frequency of trains and buses. The report outlined specific shortcomings at Churchill station, the downtown hub for thousands of daily commuters. It called the lack of landmarks and recognizable ETS signs indicating street-level access to Churchill Station "remarkable". "There is zero indication, when you are at the City Centre Mall entrance, at the plaza on Sir Winston Churchill Square, or anywhere near the intersection of 100th Street and 102nd Avenue that there is an LRT station access nearby," the report noted. The two street-level entrances at each end of Churchill Square are inaccessible for people with limited mobility, yet offer no direction to the nearby accessible entrances. The report noted that the universally accessible entrances, outside the Winspear Centre and in Chancery Hall respectively, were hard to find, "bleak and unwelcoming". Ryley Melville has been using the LRT from Churchill station nearly every day for the past four years. Melville said she's lost count of the number of times Google Maps helped her find the way in the absence of transit wayfinding. "When it comes to actually using the LRT without having a phone, you're done. There's no navigation system whatsoever," she said. "I don't even look at them anymore," Melville said. The signs for the bus coming out the Churchill LRT offer no indication of the bus direction or route. The report also offers suggestions for ways the city can improve transit wayfinding. It suggests installing consistent and identifiable ETS branded landmarks at bus stops and LRT entrances, pointing to the famous London Underground logo at entrances to the subway in the U.K. capital as an example. The report suggested the nearly unusable maps in LRT stations could be upgraded to interactive displays with real-time schedule updates and trip planning information. But, more broadly, it calls on the city to install maps with clear directions at LRT stations and bus stops, rather than the small signs often strapped to poles displaying numbered routes without indication of direction or destination. Farhan Ali said that kind of wayfinding would have helped him when he first arrived in Edmonton from Dubai just over a year ago. Ali said he struggled to navigate the bus network and would often end up on a northbound bus when he wanted to go south, or vice versa. "It's not prominent," he said. "There should be proper signage." The report offers two broad recommendations to guide future efforts to update transit wayfinding. First, to adopt consistent and predictable wayfinding practices that apply to the entire transit system. Second, to adopt a universal design policy, to make sure signs and maps are designed with vulnerable users in mind. That could mean making sure every LRT access, when inaccessible for people with limited mobility, has clear direction to the nearest accessible entrance. It could also mean maps are designed with large font and contrasting colours for people with limited vision. The city started developing a city-wide wayfinding strategy back in 2013 with consistent design standards. The five years of planning started to bear fruit last year as the city installed the first permanent wayfinding signs in parts of Downtown and Old Strathcona based on the design. The Advisory Board's report is set to be discussed at the city's urban planning committee on Tuesday.